In hopes that a top-ten countdown post soon would be there. While visions of glitter, feathers and platform boots danced in their heads. Had just settled our ears for a long winter’s nap. Now here is a song that really takes me back to my shoujo anime days. You could probably play this song over the ending of Tokyo Mew Mew and nobody would question it. Maybe I'm just being fazed by all the pink. Or the old-fashioned concept of a 'Love Thief'. It sounds like the kind of thing that The Ronettes might sing about. And I love that little repetitive bridge section at about 0.37. Part of me wonders if I should have put this higher... It is a proper 'good-times' song with some solid work on the sax and trumpet, highlighted and forever drummed into my brain via an episode of 'Green Room'. The "gashinshoutan, gashinshoutan" backing vocals on the instrumental/dance break are also a nice touch. I love the little pastel outfits in the video and Murota Mizuki's voice is made for songs like this. This video is not the full song but you get the idea. I feel like both C-ute and Juice=Juice have been suffering a bit musically without Tsunku but luckily for Juice=Juice the charming vocals they deliver on tracks such as this pull them through. Going for those retro stylings again a la Koi Dorobou. Starting to feel slightly like I am just writing a list of all the sixties-y tracks hello project put out this year. There is something slightly Beatles-y about this one. Strawberry Fields/Penny Lane kind of era. The video is adorable and I will always applaud non-boring idol mid-tempo numbers. Okay, so I am sure many people are getting slightly fed up of this song but it has become somewhat of an anthem and I am sure we will be hearing it at Hello Project concerts for years to come. If I play this song around the house the family will be humming it for a good few hours. A less genius but more accessible Matenrou Show, if you will. To be honest I'm not entirely sure why I like this song so much. Maybe after so much electronic musume (which I do love, to be clear) I was excited to hear something so 'Inspiration' style old school. Or maybe hearing non-stop Uptown Funk when I was working at some events in the summer messed with my brain. Either way I get far too into the 誰かのせいにはしたくない bit. This was love at first listen for me. Bit of a flashback to when I first started listening to Morning Musume is the lonely/wistful days of Nanchatte Renai.The vocals are probably some of the best I've heard from the current members. Anyone who moans about the current girls being bad singers compared past members should be pointed towards Mizuki, Riho, Masaki, Haruka and Sakura. I also feel like this is a much more traditional melody than usual from Tsunku, one that, at least should, please everyone. Along with Taiki Bansei this is another song I see becoming a 'classic of 2015'. In twenty years when we are all complaining about the loss of flesh and blood idols to superidol robots we will look back on the glory days of Itooshikute Gomen ne with new perspective. For some reason this song seems to be, in my brain, the lovechild of a 1950s musical and an Onyanko Club song. Make of that what you will. My strange observations aside, this is a clever piece of songwriting and will stay stuck in your head for months. This song is really everything I love about Tsunku's music. It packs it all in: chanting, strange pauses and rhythms, catchy chorus, odd old-fashioned lyrics etc etc. This song seemed to split opinions when it was first released but I hope more and more people have come round to its awesomeness. Also, as far as debut singles go, it's not quite 'Help Me' but it's certainly up there. There is no denying it. Sayumi's graduation marks the end of an era. 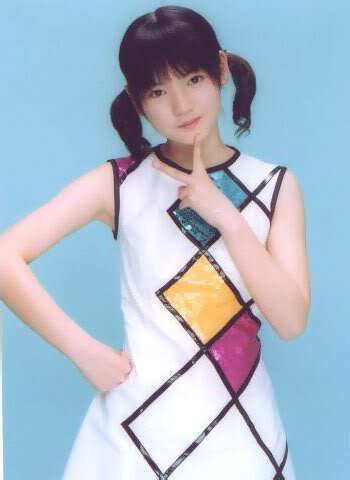 This girl has been in two-thirds of all the Morning Musume singles and 8 out of 14 studio albums. She is the last members to have been in the group with members from the first generation and the final survivor of the so-called platinum era. She has gone from the girl who everyone loves to hate to the girl everyone loves. Full stop. Which for a girl with no particular talent as a performer, someone who at school was friends with insects and came into the group as a narcissistic, self-proclaimed Tetris queen is no mean feat. This arguably rather awkward girl went on to become one of the best and most unique idols Hello!Project has ever seen. She is also undeniably rather beautiful; inside and out. As much of a cliche as that is. So what better way to look at her career than through photographs. First photobook a year after debut. This girl is going places. And how could one picspam Queen Sayumi without mentioning how simply stunning she is. She is, despite the shortcomings mention earlier, close to perfection. One thing I am a tiny bit obsessed with, as should be obvious, is idols. Another thing that takes up more of my time than it should is watching old films. In my shallow mind pretty much any film made before 1970 gets bonus points and makes its way onto my “to-watch” list. 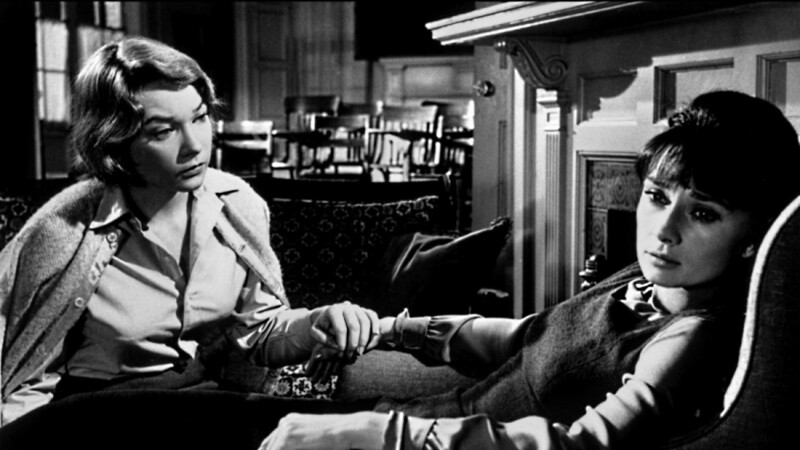 And because I am a cliche teenage girl and the emotional equivalent of a fairy cake, I have seen an almost unholy number of Audrey Hepburn movies. Well I have figured out that the reason I love Audrey and the reason I love idols is actually almost the same. Audrey played all these different roles while still being Audrey Hepburn. She kept up an impeccable image and always acted with grace. While we never knew her personally we felt that we knew that she was kind and well, just lovely. She was an “almost girl next door” in that she was good natured and natural but a magnetism, talent and beauty that, I don’t know about you, I have never found next door. These qualities are exactly the same ones I recognise is my favourite idols. I guess there must be a reason why, even today, Japan is particularly Audrey crazy. I can’t remember who said it but I am sure someone once said “If you want the girl next door, go next door”. The best idols, in my opinion, are slightly untouchable. This is getting more and more rare these days with the use of handshake events to shift copies of singles but that’s a whole other discussion. Were I not completely aware of my duty to my family and to my country, I would not have come back tonight... or indeed ever again! Overall, I would say that in the mad world of Hello!Project 2013 pretty much took over where 2012 left off. The prominence of electronic music continued to rise, the groups became, if anything, even more dance focused and we saw more one-off units courtesy of Satoyama/Satoumi. I doubt anyone remembers but this time last year I had a list of 'Hopes for 2013'. And now is the perfect time to see whether any of my dreams were realised. Morning Musume. C-ute and S-mileage continue in their current style - This definitely happened. Better quality album tracks for all - S/mileage had a great album this year but other studio albums have been naff. Some more serious Buono! No more of the fluffy 'sherbet' nonsense. - Buono seems to have died a bit of a death. Less cheap looking concert costumes. - There were some nice ones in the summer concert I suppose. A successful acting career for Mano - In the unpromising world of ex-idols I'd say she's doing alright. More MVs shot outside? - Once again, thanks Satoyama. New photobooks for Risako and Miyabi - Miyabi-yes!, Risako-this year maybe? This double A-side single was the perfect representation of this era of Morning Musume and put their previous effort (Brainstorming/Kimi Sae Ireba Nani Mo Iranai) to shame. S/mileage's second studio album was, in my opinion, one of the best Hello!Project albums in recent year. Full of great singles such as 'Suki yo Junjou Hankouki' and 'Samui ne' and quality album tracks such as 'Shin Nippon no Susume' and 'Otona no Tochuu' this album is far and away the best one H!P has offered this year. Back to 'Ai no Gundan'. These outfit were just brilliant. This isn't the best picture but I love the fact that they are uniform but still have variety, match the theme of the song and looked great in the dance. I also have a bit of a soft spot for these retro ensembles from Juice=Juice. I love the more casual vibe this new group have been given in terms of outfits and these are just adorable. And they look even better in the dance shot of the music video for 'Hajimete no Keiken Chuu'. I don't think there's been any particular stand outs this year but I do rather like the stylish feel to this one. Members that have stood out well in 2013! Fukumura Mizuki - Her performance level is so much higher than it was a year ago and since Reina's graduation she has moved into the forefront. Nakanishi Kana - With the whole 'Yataruchan' campaign Kana has really come into her own and found her niche within the group. Her singing and dancing have also improved considerably and I think we could be seeing a lot more of her. Kanazawa Tomoko - I don't think many people new much about Tomoko before she was placed in Juice=Juice but I immediately found myself wondering how she wasn't an idol already. One to watch, definitely. With Morning Musume awash with new members and finding new popularity, the Hello!Project "Kids" having past the ten year mark, the revamped S/mileage really finding their feet and new group Juice=Juice entering on to the scene, I would say that it is appropriate to consider this as a new era for Hello!Project. Starting with the addition of the 9th generation, or arguably the graduation of Eri, Junjun and Linlin, Morning Musume has overgone a huge member overhaul. Add to this a new music style, a focus on dance and an advertising campaign which focuses on 'The Current Morning Musume' and you have, pretty much, a reborn group. The only member who was part of the 'Platinum Era' is Michishige Sayumi, an idol so versatile and charming that she fits just as well into the current line-up as she did into that of the Platinum Era and indeed the 'Whatever came before the Platinum Era' Era. Since the graduation of Tanaka Reina, the group has shifted away from the usual two leads to having several members (namely, Sayumi herself, Fukumura Mizuki, Sayashi Riho, Ishida Ayumi, Sato Masaki and Oda Sakura) forming a sort of 'front row'. This formula worked brilliantly for their latest single 'Wagamama Ki no Mama Ai no Joke / Ai no Gundan' and is something I hope will be kept up. One thing that seems to being pushed as a talking point at the moment is Morning Musume's 'formation dance'. The choreography for recent singles is most definitely hitting the mark and is fascinating to watch. To accompany this fresh dance style is more electronic sounding music. I have always had a bit of a soft spot for this type of sound as so was thrilled when the group took on this style. Also, when the group are trying to re-introduce themselves to the current market, some sort of musical consistency isn't a bad thing to have. Now as far as Berryz Koubou and C-ute are concerned. . . . If I am completely honest, I don't see them lasting longer than a couple of years tops. There disbanding would however be a huge loss, so maybe I am wrong. Both groups sales have been rising as of late; C-ute's significantly, Berryz' less so. Both groups have become polished units and are a real asset to Hello!Project. Where their journey goes from here? It's difficult to tell. When it comes to S/mileage I often feel I am one of few who are more interested by the current six member line up than the original four. The current six members are, I would say, a very diverse group of idols and this is probably one of the reasons why I am really enjoying their live performances at the moment. I honestly believe that on stage is where their strength lies, which is a bit odd considering they are not exactly stellar singers of dancers. Their sheer energy, however, is enough to completely hold my attention. Couple this with their latest album being one of the best Hello!Project albums of recent years, and it can be said that musically, they are succeeding. However, the group have been rather stagnant on the commercial side of things. Now, I am not a PR man. I don't know how to fix this. But what I do know is that S/mileage is a group with huge potential that people outside of the fanbase are not seeing. 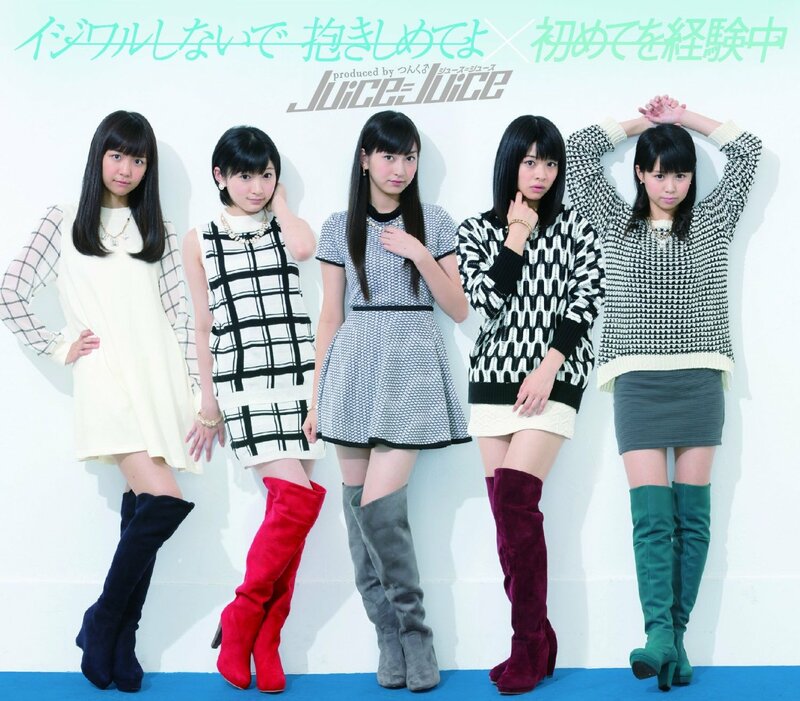 Looking at their indie singles and their major label debut 'Romance no Tochuu' it appears that the sound Juice=Juice are going for is more of a funky, brassy, retro sound than that of their fellow H!P groups. When I first heard 'Romance no Tochuu' I thought of it as a more Tsunku version of Tokyo Girls' Style's brilliant track 'Unmei'. At the moment, I am really pleased with the direction of Juice=Juice and if it continues this same way I will be more than pleased. Overall, I would say that it is clear that a change is going on at Hello!Project. 'Generation' is a word widely used in the idol business to refer to new members. Whether we agree with it or not, we are moving into a new generation of Hello!Project and in this context the word 'generation' refers to more than just new members. It is undeniably an exciting time to be Hello!Project fan. After the disappointing 'Satoumi' single new Satoyama unit 'Jurin' save the day . . . I never actually posted anything on the triple A-side Satoumi single but I think that the title of this post conveys my opinion fairly clearly. I honestly really wanted it to work. The combination of Airi and Risako sounded great but unfortunately the song they were given, while not being bad, never really seemed to go anywhere. The melody of HI-FIN's song was great and the music video was also pretty nice but the lyrics were cringe worthy even by Hello!Project standards. The other group (Mellow Quad?) left little impression on me. Anyway. On to the proper subject of the post. When the unit 'Jurin' was first announced I thought to myself, "Don't we already have peaberry for this?". And, to be perfectly honest, that thought still crosses my mind occasionally. However, hearing the song, 'Hotaru Matsuri no Hi', I can't imagine it being sung by anyone other than Masaki and Karin. The song in question definitely has similarities to Peaberry's 'Cabbage Hakusho'. In that they are both ballad-y, heartfelt and bear a certain sense of naivety. The mainly acoustic instrumentation works well and the girls' voices blend very well together. The lyrics are fairly non-ridiculous and the music video, while no 'Cabbage Hakusho ~Haru Hen~' is pretty nice. All in all, I would say that 'Hotaru Matsuri no Hi' is one of my favourite songs to come from the Satoyama movement so far, along with 'Cabbage Hakusho' and to an extent 'Forest for Rest ~Fore Fore~'. I can't quite realise why it is only being released on a dvd single and will admit that it would make my day if a Satoyama compilation album was churned out some way down the line. BREAKING NEWS! Blogger, Kath, finally gives in to her better senses and creates a Tumblr blog . . . .
. . . . . And it's called 'Mini Blogberry Pie'! There have been several occasions recently when I have had an idea that while being decent, wasn't really expansive enough to justify an entire blog post. I thought this would just be one of these problems that I would just put up with and move on with my life. Hello! Project need some new groups. Have Idols changed the way I live my life? Back in 2008 I was browsing a page of 'Japanese female singers' on Wikipedia. Naturally, I was looking at the 'K' section. I saw a name that I thought sounded quite cool and on a whim clicked on it. The name was Koharu Kusumi. I heard a couple of Koharu's solo songs such as Koi Kana but then forgot about her for a while. Fast-forward to 2009. Having heard the name 'morning musume' quite a bit I decided to look the group up on youtube. Nanchatte Renai had just been released and was a featured video (or something like that). I fell in love with the song and the group and turned into the person I am today!